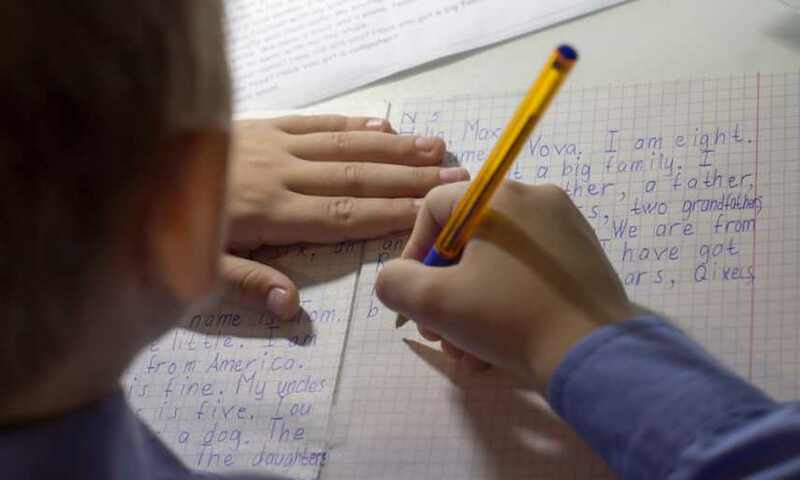 A new study has compiled a list of the 500 most frequently used words written by students in Australia in their first three years of schooling. What influences their word choices? Are there any gender differences? And, how has the list changed in a decade? The Oxford Wordlist research study analysed writing samples from 1000 students in Victoria and South Australia to pinpoint the words that were used again and again. It says inherent knowledge of high frequency words is important as it helps early writers to become more independent and frees them up to focus on low frequency words and expanding their vocabulary. The research was carried out by Oxford University Press in partnership with Flinders University Lecturer, Anne Bayetto. In order to generate a similar total word count for each year group, five writing samples were collected from students in their first year of school, and three each from students in Years 1 and 2. The samples were from regular classroom writing sessions in either Term 2 or Term 3, 2017. ‘Teachers were also requested to collect the writing samples on different days over a number of weeks, so that there would be enough variety in the writing samples even if students were drawn to topics and text types they might have encountered in their learning. For example, it is expected that on a Monday many students might write a recount outlining what they did on the weekend,’ Bayetto explains in her study report. How has the list changed in a decade? This is the second Oxford Wordlist study. The first was carried out in 2007. The 2017 version replicated the original research design, developed by Professor Joseph Lo Bianco and Associate Professor Janet Scull, so that comparisons can be made. When comparing the two lists, new words have appeared and others have not been used at such a high frequency, but Bayetto says, even with the 10-year gap, there is an 86 per cent agreement. The first 11 words in the two lists (high frequency words such as and, the, I and to) are exactly the same, although in a slightly different order. The word computer has disappeared from the list since 2007, which the report concludes may be due to the increased use of smartphones in the past decade. It adds another interesting change is students’ use of more informal language – super, awesome, amazing, crazy and stuff all make the 500. Guys no longer features, but hiis a new addition. As to what influences word choices, students were particularly keen to write about their own experiences, spaces and places. However, there was little difference between those living in rural and urban areas, and the differences between students from low, mid and high SES schools appear to have narrowed over the 10 years. ‘Students from high SES settings reflected similar word use to that of their low SES and mid SES peers, but notable was their more common use of contractions that’s, I’ll, wasn’t, couldn’t, which may reflect the word use of those with whom they interact,’ Bayetto says. There were some gendered differences in the 2017 list. Perhaps unsurprisingly, boys and girls more often write about their own gender. Girls used the words princess, girl and grandma 131, 118 and 53 times, respectively. For boys, these three words did not appear at all in the first 300 frequently used words. Both genders mentioned animals in their writing, but boys opted for less domesticated examples (shark, snake, monkey) while girls named more domesticated animals (dogs, cats, bunny). Boys also used contractions such as can’t and that’s more frequently than girls. The report says the list of high frequency words can help classroom teachers inform their spelling and vocabulary lessons. Teaching words from this list can be complemented by the teaching of words that are similar, encouraging working memory and understanding of patterns, it adds. Teaching students the spelling of a word’s plurals and tenses at the time of initial teaching is also advised. In 1960, the Australian Council for Educational Research (ACER) released A Word List for Australian Schools. The text lists almost 3000 words used at the highest frequency from multiple research studies conducted in schools. It was created with the intention of helping classroom teachers inform their spelling and vocabulary lessons. The results from eight separate research studies (conducted throughout the 1940s and 50s across Australia) were consulted to produce this lengthy wordlist. Some studies were conducted by ACER and others were led by the Education Departments in Victoria, Western Australia and Queensland. Both speech and writing samples were collected from children spanning a larger age bracket than that of the Oxford University Press study – from eight to 14-years-old. Words used at a high-frequency by children in each study emerged, for example: ‘Of the 61 209 words used by the 10-year-olds in the [third] ACER study, 443 separate words accounted for over 46 000 of them,’ the text reads. Although these two wordlists were compiled using data from students at different ages, it’s interesting to look back on what words were most frequently used by students in their writing. For instance, while the computer has disappeared from the Oxford Wordlist in 2017, words such as telegram and typewriter featured in ACER’s A Word List for Australian Schools. Bayetto, A. (2018). The New Oxford Wordlist Research Report. Oxford University Press.